We love it when kids achieve great things, which is why we’re so excited to introduce our new segment ‘Clever Kids’. 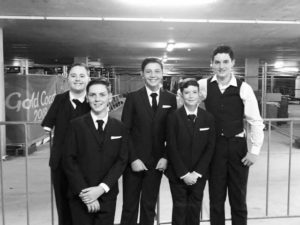 First up, we’re chatting with the Brat Pack Tappers, the star tap group from KOTB Performance Academy who have been competing in Gold Coast, Brisbane and northern NSW eisteddfods for years now. 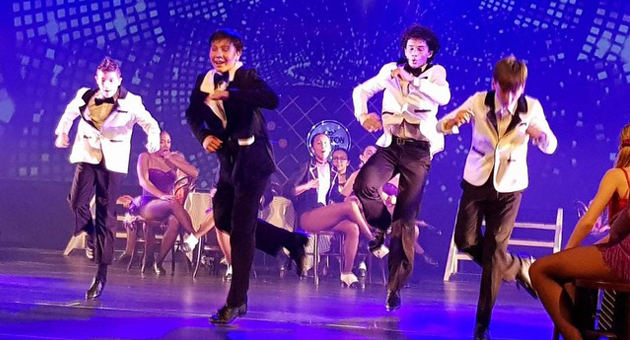 They follow a gruelling weekly training regimen and undertake Australasian Dance Association exams regularly, all under the expertise of original Tap Dogs member Ben Mayne. You may have seen them on stage at the Commonwealth Games closing ceremony back in April, and will surely see them tapping it out around town raising money for their upcoming trip to USA for the Disneyland Dance Tour. 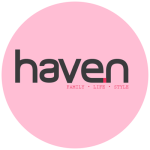 Meet Leyton, Austin, Nic, Jack and Willow – the Brat Pack, and haven’s first ‘Clever Kids’. How did you get involved with tap dancing, and when? I actually first got involved when I found out my sisters were doing ‘Annie’ at their dance studio. When I joked around and said I could play Punjab – the bodyguard – I got roped into doing a few classes a week as the only boy in my studio. Nine years later, here I am. What do you love about tap? Just the freedom to create so many different sounds, rhythms and musical elements. It’s nothing like any other form of dance – those two metal plates on my shoes let me integrate my own style into every routine. There’s always a different way I can scrape, shuffle or stamp and so many different surfaces to do it on. How many hours do you have to put into training every week? I’d say, between Grade Tap classes, eisteddfod teams and teaching, I do about six hours of tap a week. What was the absolute best day of your life? I’d probably have to say April 15, 2018 – the Commonwealth Games closing ceremony. Being able to perform in the stadium and to such a huge televised audience felt unbelievable. Showing that many people that tap dance can be just as awesome as any other style AND that guys are just as capable of doing it too was really incredible. Not quite sure – I suppose levitation would be useful in doing double-flick wings. What weekend? Usually between dancing on a Saturday and work on a Sunday, there’s barely enough time to work on assignments. Out of those three though, dance takes the cake. What book have you most recently read? What movie have you most recently seen? Semester 2 of Year 12 English means that reading Macbeth is part of the curriculum, and as you can imagine, some daydreaming too. Shakespeare’s one heck of a playwright, but man he can drone on. I’d like to perform in the entertainment sector as well as build up my management and production experience within the industry. Which celebrity do you look up to, and why? I don’t really have a celebrity that I look up to – I’d like to look up to the mentors I have in my own life before I idolize someone I don’t even know. Where do you see your tap career in 15 years? I hope that within the next 15 years, I’m able to continue performing and improving my tap, build my reputation and expand my connections to meet other tappers like me. In 2013, we were at KOTB looking at dance classes for my sister when I saw there was a boys’ class happening. I thought I would give it a try and it just progressed from there. It is a form of dance that you can really express your emotions through, no matter what or how you’re feeling. I have classes every day except Sundays. Performing in the closing ceremony of the Commonwealth Games. Telekinesis – I like the idea of being able to move things with my mind. If I am not performing, I like to hang out with my friends. The Hunger Games is my favourite book, and Jurassic World: Fallen Kingdom is my favourite movie. I would like to work somewhere in the performing arts – hopefully as a tap dancer. Hugh Jackman, he’s an awesome all-round performer and known as one of the nicest guys in Hollywood. Hopefully still tapping with the Brat Pack. I used to wait around for my sister to finish dancing every night. I wondered what it was like, so I tried a few classes and here I am now. I was 4. I like the freedom to be able to bring my energy out on creating beats and rhythms with my feet. I put 5 hours a week into my tap training and I try to make the most of my classes. The best day of my life was probably when the Brat Pack got asked to do the Com Games. If I could have any power it would be to be able to fly. My favourite thing is to ride over to my friends house and hanging out with them. That is on Sundays because I dance all day on Saturday. The most recent book I’ve read is Percy Jackson and the Lightning Thief. The most recent movie I’ve seen is Incredibles 2. I want to work in movies or in filming. I would also like to work in productions. Millie Bobby Brown. She is just super nice and inspiring. I hope that I see myself tapping in major productions. Tapping runs in the family. I started when I was 6. My uncles inspired me to tap. It’s fun to make rhythms and make sounds.